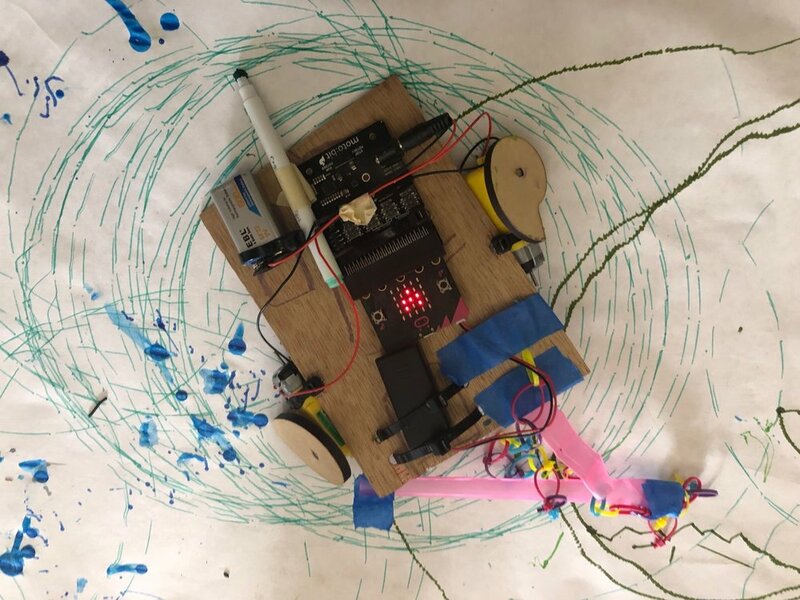 Mixing Art + Programming - Computational Creatures 3.3 — Wonderful Idea Co.
For the third day of computational creatures summer camp, tinkerers spent the entire day working on next level art machines that used microbit and motobit to drive different types of motors. 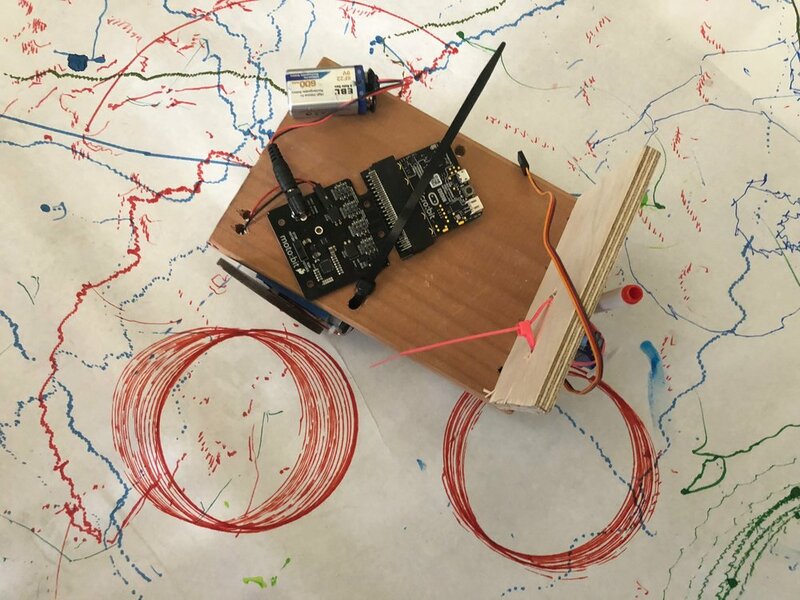 These prototypes are inspired by the work of Seymour Papert, Cynthia Solomon and others at MIT on Logo turtles as well as the long tradition of robotic art making. 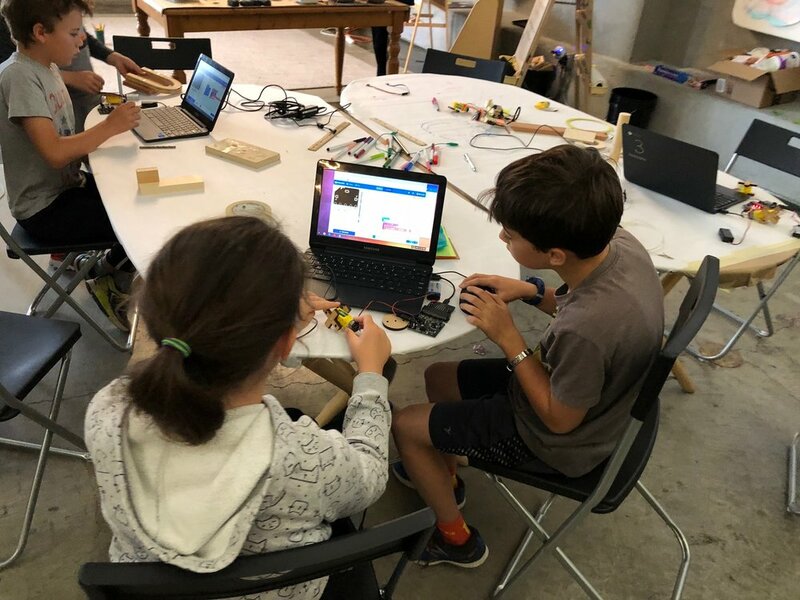 This week we spent more time on tuesday experimenting with microbit programming in makecode so campers could more easily get started on their ideas. 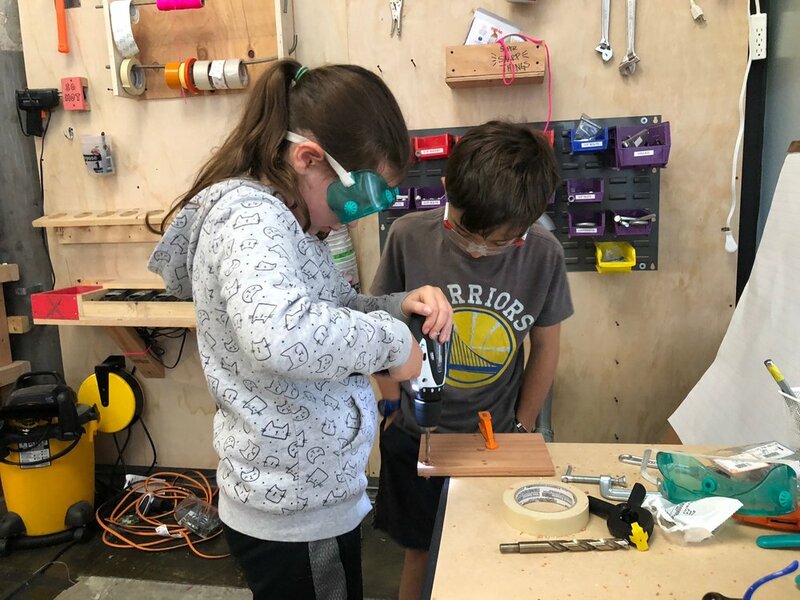 We also got a bunch of interesting wood scraps which required builders to use power drills and other woodworking tools to assemble the custom frames. 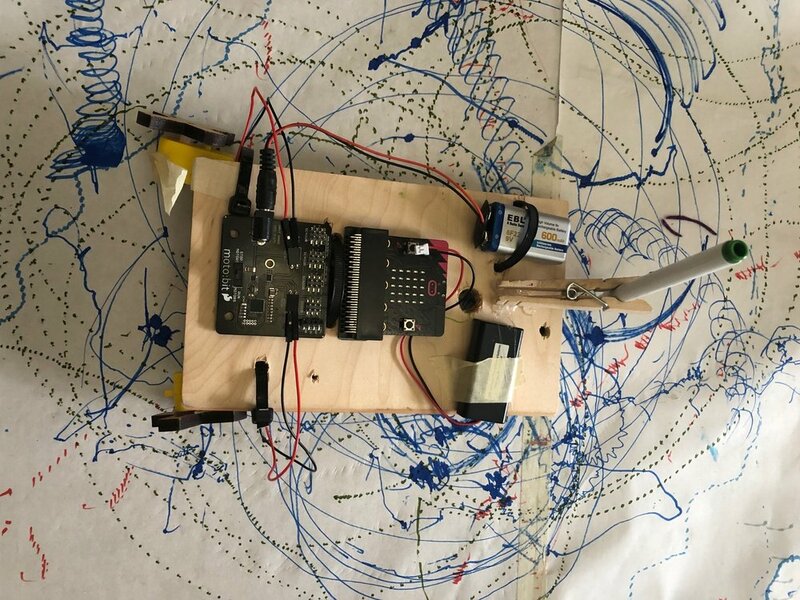 The earlier start on programming also meant that we could spend more time delving into the world of servo motors which are more complicated but offer lots more possiblities for interesting creations. 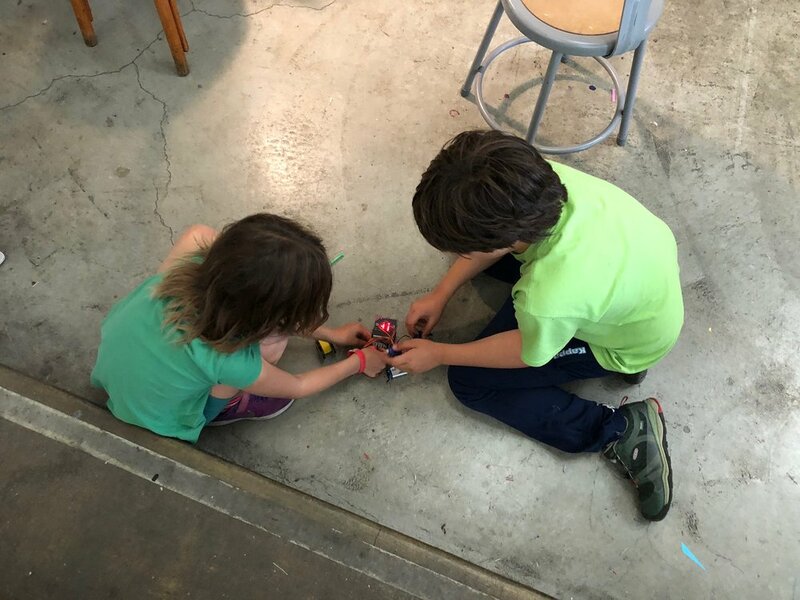 There was lots of great teamwork and collaboration as campers worked together to refine their code and construct their scrappy machines. As groups started finishing up their designs, we set up a giant testing area where the machines could collaboratively make some modern art. It was awesome to see such a variety of designs and ideas in the projects. All the campers agreed that they needed about five more hours to complete their art machines. 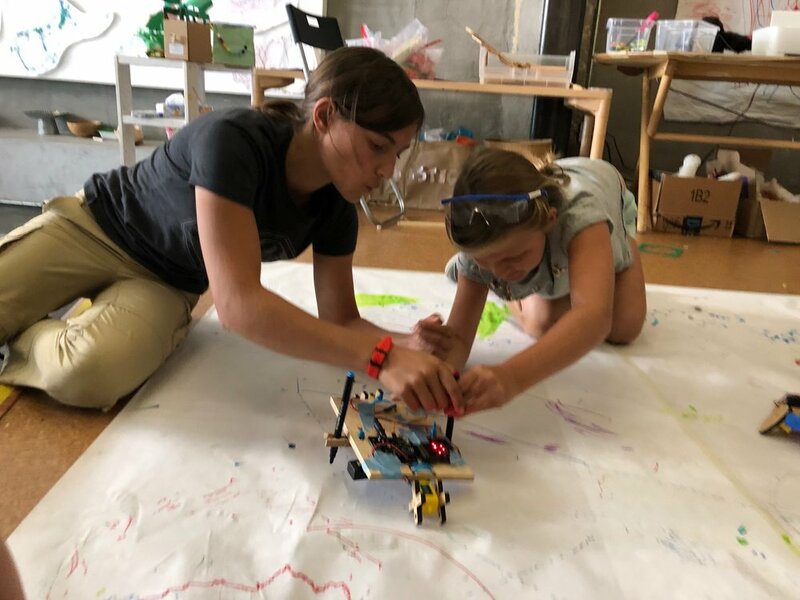 As we went around the circle and shared the projects, campers asked questions of each other and got to see commonalities in things that were challenging and exciting. It was a great deep dive into creative compututing to launch the group into the final project for thursday and friday.